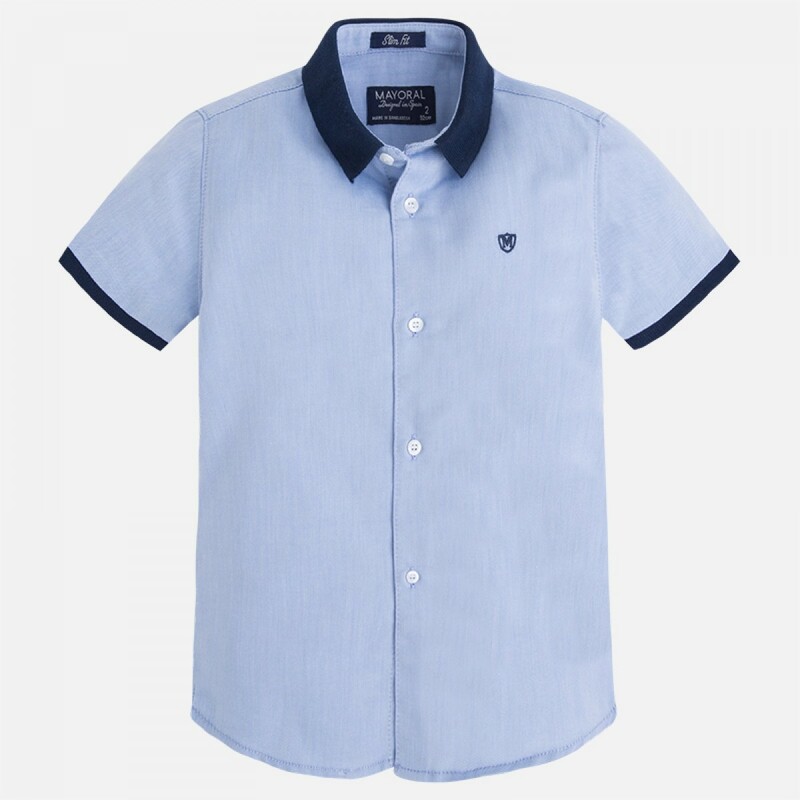 This effortlessly stylish short sleeve shirt is the quintessential summer piece. Beautifully made by Mayoral, it's strikingly designed in cool lightweight cotton with stylish colour contrast on the collar and cuffs. Fantastic for formal occasions but just as easily worn open with a T-Shirt for a more casual look, it's going to be a really dashing addition to any warm weather wardrobe. We love the very on trend deign - the contrast patterns makes the shirt something really special. There are some lovely details - we love the smart monogram at the breast. It's a shirt that will make him stand out from the crowd - the exceptional details make this a genuinely unique piece.